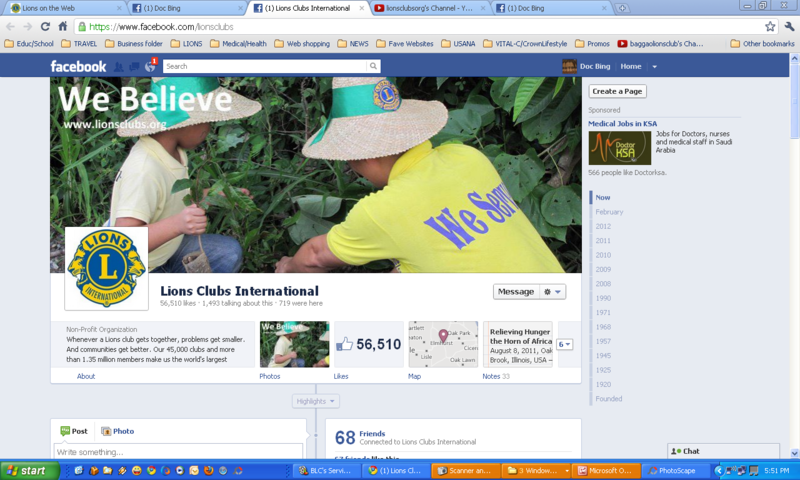 This cover photo of the LCI was taken last Oct 2011, during our treeplanting activity - the first service activity of Baggao Lions Club. Its ecumenical services and symposia happened last Sept 2011 but the actual tree planting was postponed due to heavy rains in our area. Our actual tree planting then happened the following month when the weather became favorable. On the above photo is Lion Danilo Alejandro together with his son Yuan Alejandro, who was initially reluctant to go with us because he did not like the idea of having a moist or wet soil/mud on his hands but ended up not minding the soil and the worm at all because he admittedly confessed that He did enjoy planting trees with us. He even asked us to join again on our next treeplanting activity, together with his fellow lion cubs. 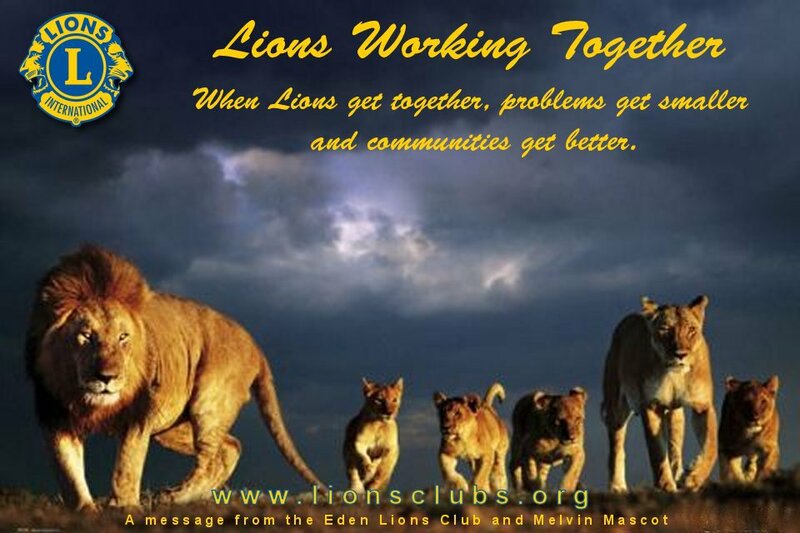 Lions Clubs International is the largest service club organization in the world. We have 1.35 million members in more than 46,000 clubs worldwide. BAGGAO LIONS CLUB, chartered last April 13, 2011is still on its infancy. There is so much to do and still so much to prove for the Baggaoenos. We have, so far shown the community and the municipality at-large that the club can be a channel for good-hearted citizens to express their willingness to help the less fortunate among us. Our commitment is never too difficult for as long as we enjoy each other’s company in helping our people, and the consolation that it brings; knowing that at the end of the day, as you recollect the events that was, you knew that you made a good part, and it always feels good! BAGGAO LIONS CLUB would like to dispel the assumption that it is an elite club; that it is exclusive to the chosen few. This club is composed of simple men and women who just happened to be by the roadside, waiting for that caravan carrying a banner with bold letters that say “SERVICE”; This club is composed of men and women ready to answer to the call to serve, after all, LIONS CLUB is known for its motto which is to serve for “we serve”. The club welcomes every individual who shares the same sentiments as its present members. We even welcome you to join us and be part of the club for as long as you believe that you have that calling from inside your heart to share your TIME, your TALENT, and some of your TREASURE. We believe that there is no other intention, more noble and more sincere than service without expecting anything in return. Being in the club, gives you the opportunity to share your God-given gifts. Being in the club gives you the respect of being one among equal, that titles and entitlements are never obstacles in promoting equality among its members. 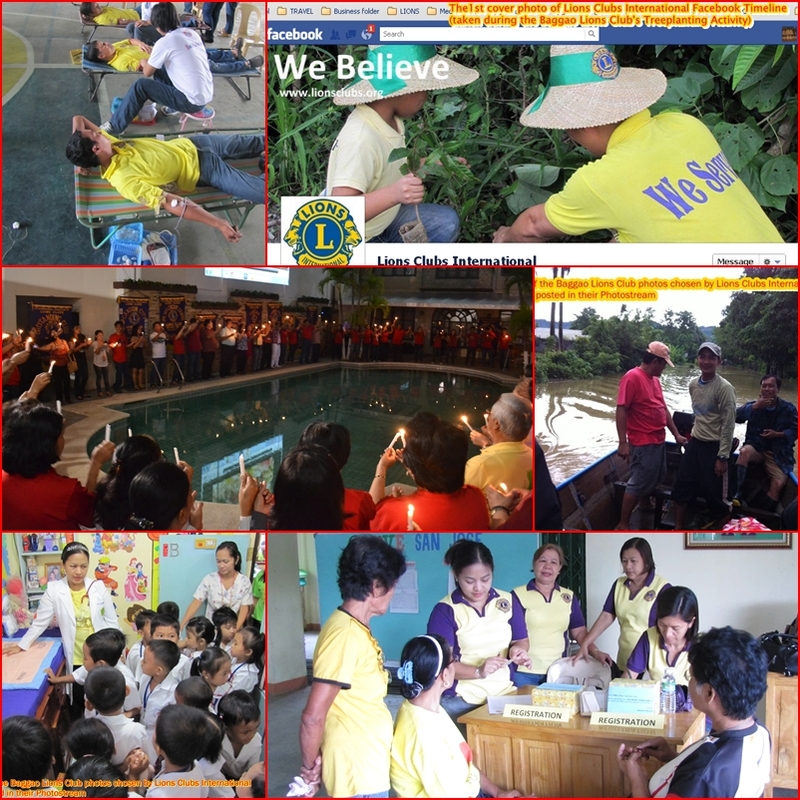 Thus far, the international community through the LIONS CLUBS INTERNATIONAL has noticed the existence, and the appreciation of a very promising service-oriented and socio-civic club in BAGGAO. We have become part of a global community and we have attained the same recognition and status as any LIONS CLUB elsewhere in the world. Baggao has gone from rural to global, also because of the Baggaoenos who ventured to see the world and to show the world that we are also world-class in people and culture and especially in the service that we provide. BAGGAO LIONS CLUB welcomes you to our various projects we have lined up for the coming year: medical/surgical and dental missions; info-drives on road safety and preventive health; blood donation campaign; calamity relief operations; mobile diabetes screening; healthy lifestyle; sight preservation; environmental awareness and protection; youth involvement in socio-civic activities and many more.